In this week’s episode Linda Kohanov speaks with Joanna about: learning from horses how to be powerful in a new way; the power to stand up together and speak our truth in a way that doesn’t demean someone else; horses, relationship before territory; immature dominant power running amok in our world; understanding sensitive and dominant children; the advantage of multicultural societies; a new world opened through the relationship with her unrideable horse Tabula Rasa; heart breathing and the skills of energy engagement; Buddha was an exceptional horseman; meeting horses changed human culture; developing “emotional heroism” to change the world. 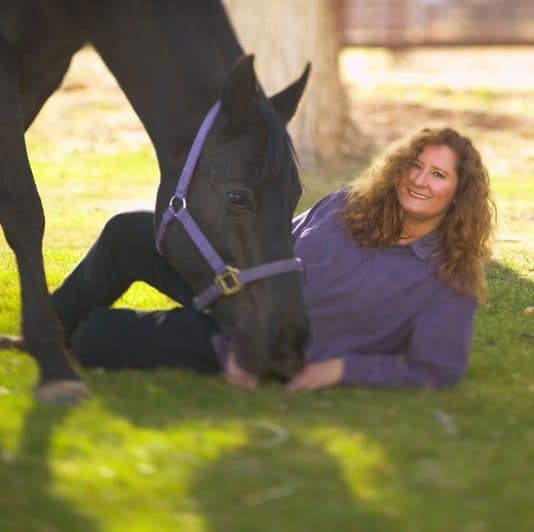 Linda Kohanov is an author, speaker, riding instructor and horse trainer who has become an internationally recognized innovator in the field of Equine Experiential Learning and respected writer on the subject of Equine Facilitated Psychotherapy. Her books The Tao of Equus and Riding Between the Worlds: Expanding Our Potential through the Way of the Horse have been used as texts in university courses across the country and have received appreciative reviews in numerous publications, among others, IONS Noetic Sciences Review, Shift, Spirituality and Health. She is also the author of The Power of the Herd: A Nonpredatory Approach to Social Intelligence, Leadership and Innovation, and her latest The Five Roles of a Master Herder: A Revolutionary Model for Socially Intelligent Leadership. Hi, I loved this interview and found so much wisdom in this approach to intelligent and compassionate leadership. In Ron Chernow’s biography of Ulysses S Grant, there are many examples of how Grant’s innate relationship with horses was one of his critical success factors as a leader at such an important time in our nation’s history.